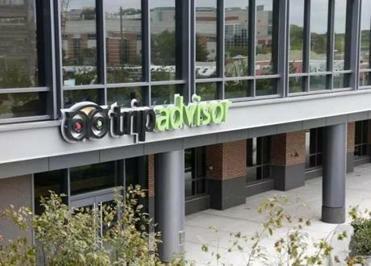 NEW YORK — Responding to what one travel expert categorized as “a wakeup call,” TripAdvisor has begun placing symbols next to hotels and resorts that have been identified as locations of sexual assault and other major concerns. Based on news reports as well as comments from the TripAdvisor community, the warnings are designed to identify health, safety, and discrimination issues in all of the website’s travel categories, said a company spokesman, Kevin Carter. Decisions to add or remove a badge will be made by an employee committee, he said. Listings will not be removed from the TripAdvisor website regardless of the number of complaints. “We want consumers to see good and bad reviews of businesses,” Carter said. Comments from users will continue to be posted on the site. Three resorts in the Playa del Carmen region of Mexico were those flagged by TripAdvisor, including the hotel ranked at No. 2 by users, the Grand Velas Riviera Maya; the hotel ranked at No. 4, the Iberostar Paraiso Maya; and the fifth-ranked hotel, the Iberostar Paraiso Lindo. Each had received thousands of reviews. Several people told the Milwaukee Journal Sentinel that when they mentioned the crimes in their TripAdvisor reviews, those reviews were taken down. TripAdvisor issued a public apology a week ago to Kristie Love, 35, of Dallas, after The Milwaukee Journal Sentinel reported that TripAdvisor had repeatedly deleted her 2010 forum post about the Paraiso Maya resort, where she said she had been raped by a security guard. TripAdvisor said it had run afoul of a former policy that allowed only “family-friendly” language. A subsequent guest at the same resort told The Journal Sentinel that she tried to write about a sexual assault that occurred there in 2015, but eventually gave up because TripAdvisor said parts of her review relied on information that wasn’t firsthand. “In that review there’s a line about a doctor making a medical diagnosis. Because it was a third-party medical diagnosis, it constituted hearsay,” a TripAdvisor spokesman, Brian Hoyt, told The New York Times last week. As part of its new policy, TripAdvisor will try to be more clear about why reviews are rejected. “Our new e-mail communications will clearly articulate the phrase or sentences that are in violation of our policy, inviting the reviewer to make edits and resubmit their review,” Carter said. The Journal Sentinel reporting about TripAdvisor came at a time of a national conversation around sexual assault that was brought about by the Harvey Weinstein scandal and the #MeToo social media campaign. The confluence of those events “served as a wakeup call to TripAdvisor,” said travel analyst Henry H. Harteveldt, the president of San-Francisco-based Atmosphere Research Group. “It’s 100 percent true that in 2017, and certainly going forward, no travel website can arbitrarily censor or remove posts just because they may address an uncomfortable topic or be awkward,” he said, noting that the travel sites have a responsibility to businesses to ensure that the allegations are accurate and verifiable. The health, safety, and discrimination badge is the third that TripAdvisor is using to mark businesses with potential concerns. A badge is used to identify a listing that may be violating posting guidelines; for instance, by putting up fake reviews. Another badge is used to note when TripAdvisor freezes reviews during major news events where posts may not reflect the opinions of actual guests. That was used next to the Mandalay Bay listing in Las Vegas last month after a gunman killed 59 people and injured more than 500. Harteveldt said he believes that TripAdvisor should link to government warnings as well.